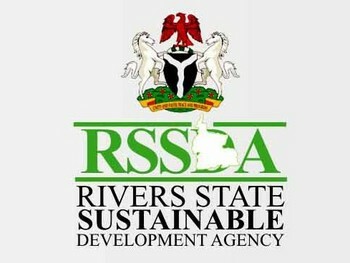 The Rivers State Sustainable Development Agency (RSSDA) invites applications from suitably qualified candidates for selection into the Governor’s Special Overseas Postgraduate Scholarship Programme for 2013/2014 session. Must have gained admission into any of the listed universities in the relevant fields of specialization for the masters programmes. Application forms can be downloaded from the official website (see link below). Application forms can also be collected and submitted at the RSSDA office at No. 1 Igbodo Street, Old G.R.A, Port Harcourt. Shortlisted candidates will be contacted for online aptitude test through SMS, emails and notice posted on RSSDA website. Original copies of credentials will be sighted during the interview of shortlisted candidates. Or, fill in the RSSDA official online contact page. It's a good initiative and promotes advancement of knowledge, however it is a restcted scope,just sciences. What happens to lawyers from the state that intend to further their pursuit for academic excellence? If oil firms are restricting the scope, not the state government too. I'll plead that provisions be made for the legal practitioners so as to balance the educational background of the indigenes. 2) MANUAL - download / print out the form from the official website OR get the form from the physical address (see article above), then submit to the office at No. 1 Igbodo Street, Old G.R.A, Port Harcourt. Plz when will the 2014 applications forms be out. is 2015 application forms out?